On many occasions in recent months, European media have extensively reported on the lively debates (which have at times become highly polemical), on the sometimes exaggerated comments and self-justifications, and on the public demonstrations and private involvements regarding the particularly sensitive ethical issues implicating processing industries and unfair trading practices. European lawmakers have seized upon this question: the definition and framework of trading practices now depend on political decisions that should soon be taken at the Community level. When a transaction is negotiated between a supplier and a buyer, this gives rise to a de facto "trading practice". By definition, no professional sector escapes the unavoidable continuous network of relations that gives rise to an industry as a whole, from the initial grower of raw materials to the final end-consumer of the finished product, and even beyond, thanks to new recent models of eco-responsibility. Whether in the field of chemistry, service provision, the automobile industry, artificial intelligence, health, textile or food, trade partnerships are always integrated in a power struggle where each party attempts to shape the transaction to the best of its interests. It would seem increasingly obvious today that this relationship is frequently skewed and that the legitimate interests of one of the other partners in the transaction often fail to be equitable or protected with regard to the real incompressible costs of production and processing of tomatoes. With this in mind, a study of the real value of productions, carried out by the Department of Economy of the Second Luigi Vanvitelli University in Naples, was presented on 30 November in the context of the sixth edition of the "Filo Rosso del Pomodoro". "The results of this study will serve to open a new scenario for the supply chain by promoting the accreditation, in the field of trade, of tomato products as quality products, sustainable from an environmental, social and ethical standpoint – for which the consumer is willing to pay a higher price in acknowledgment of the efforts made by the supply chain in terms of ethics and environmental protection – and no longer as a low-cost commodity” commented one Italian processor. “The future of the sector should not merely be linked to a strictly profit-oriented logic, but it must also take into account a "triple bottom line" perspective (of social equity, environmental quality and economic prosperity) through which the interests of a wider number of stakeholders can be protected, ensuring a higher degree of social responsibility of the company and of the entire supply chain. 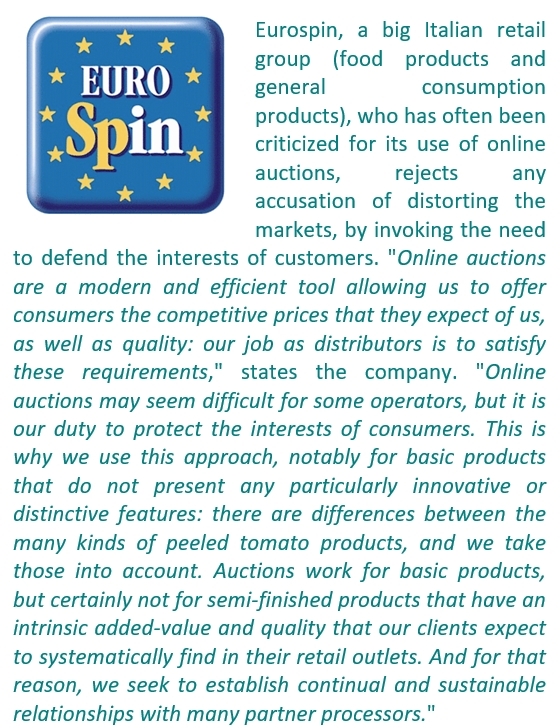 Moreover, the study, far from being intended as a contractual instrument, could represent the basis from which to start a dialogue with the world of retail distribution, aimed at asserting the quality and the typicality of the Italian tomato industry." The debate around the relationships between primary processors and their clients or between secondary processors and big retail distributors – to simplify the issue – are not naturally limited to the mere borders of Italy as a country. Indeed, the European leader of the processing tomato sector cannot sidestep its role as a promoter of ideas, which it has taken on simply by virtue of the importance of its position in the worldwide context of the tomato processing industry, nor avoid reacting to the frequent criticism that is leveled at it because of the indefensible system of illegal labor employment (the "caporalato"). So it is naturally in Italy that the debate has developed in recent months, a polite but firm debate that has been notably stoked by the comments of Professor Corrado Giacomini denouncing "the silence of the different structures, both associations and agricultural and industrial interbranch organizations, regarding the noncompliance with reference prices" and the fact that "the ANICAV has been complaining about the negative consequences of online auctions and more widely about companies using the impact of unfair trading practices to justify instances of noncompliance with agreements." During September, the General Director of the ANICAV, Giovanni De Angelis, firmly stated his position regarding the different aspects of this debate and reestablished a number of basic truths. "Whilst understanding the spirit in which the article was published by the Professor of agricultural economy Corrado Giacomini on the subject of the major importance for the sector of processing tomatoes [...], it seems necessary to correct a number of inaccuracies, some of which are particularly obvious, regarding the governance of the Italian processing tomato industry in recent years. Given their specificity compared with other products in the fruit and vegetable sector, tomatoes for processing have been excluded from the remit of the national interbranch organizations and it has therefore been necessary to relaunch specific district IOs in order to take into account the particularities of the companies operating in both regions of production. The Interbranch Organizations of northern Italy (accredited in March 2017) [and of the South Central region of Italy, accredited in November 2018, editor's note] can in no way take part in the price negotiations for raw tomatoes, as their mission is to promote the integration process of the industry by improving products, ensuring careful programming and concerted planning, and supervising compliance with the rules and agreements. The main aim of the national coordination that will be set up between the two IOs will be to provide a single track for the industry as a whole." "As for online auctions – a topic that has been part of discussions regarding the problem of illegal employment – we need to once again underline that these practices represent a highly critical aspect of the industry as a whole and, in particular, for processing companies that are required to support all of the negative effects of pressure on prices. The interest that the ANICAV has shown in this debate is understandably not incidental. Those who still want to promote the idea that the procedure of automatic online auctions forces processors to shift their losses onto their suppliers – the growers – who are themselves forced to then call on illegal labor and pay abusively low salaries, are clearly unaware – or feign to be ignorant – of the rules of engagement of our industry. 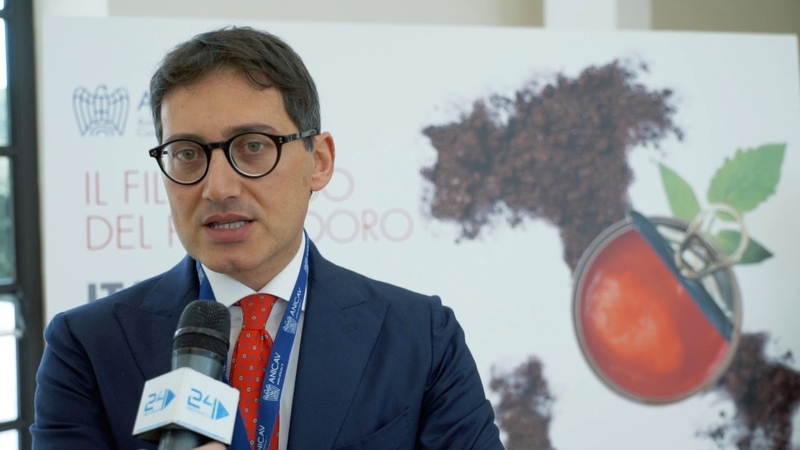 In this context, it is useful to remember that the price paid to growers by Italian processing companies, particularly in the South Central region, is one of the highest in the world, because it is paid in appreciation for a level of quality of the raw materials that is higher than that of other producing countries, […]" stated Giovanni De Angelis, General Director of the ANICAV. What is the real issue here? The practice of electronic reverse auctions, which is particularly developed in the English-speaking world, remains very unpopular in a number of sectors, including that of processing tomatoes. An auction is referred to as being reverse when it is based on competition between several sellers. The first electronic reverse auctions appeared a few dozen years ago in the highly competitive sectors of the automobile industry, aeronautics and the pharmaceutical industry. The purpose was to reduce the negotiation time and achieve substantial savings on purchases of a given family of products. However, this practice still suffers from a bad reputation linked to "a lack of awareness of procedures", according to the unconditional users of this type of tool. 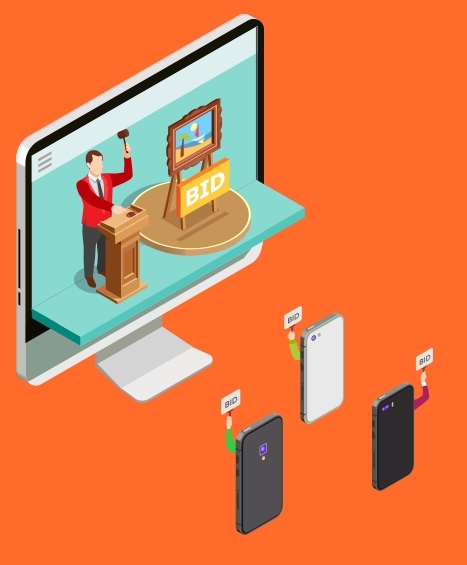 For those who have adopted it (buyers most often), electronic reverse auctions are a dynamic online negotiation tool allowing buyers to invite several suppliers to respond to a specification offer over a given period, which is generally short, in the hope of obtaining the attribution of a market. For its opponents (generally suppliers), these auctions are a deteriorated form of negotiation, "an opaque mechanism aimed at increasing the pressure". In summary, during an over-the-counter sale, most of the goods or products on offer are negotiated on a downward basis. The system of "electronic reverse auctions" is inspired by this, but with a shorter turnaround period. This has made some industry experts say that "electronic reverse auctions when not controlled is a new way of doing the wrong thing faster." "This practice contributes to damaging the market a bit further," explained one European processor. "Independently from the legality issue of this procedure, questions remain as to the many negative aspects of these practices, which remain particularly opaque." In these conditions of anonymity of the electronic auctions that are proposed and organized by the buyer, processors who are legitimately taking part (and who are actually likely to be able to supply the required volumes) have to face a situation where "bidders are sometimes desperate, or may have no other purpose than to draw the attention of major clients". As stated by the ANICAV in a press-release published last August and seconded by several operators of the industry, this presents major risks that are not limited just to the companies involved in the bidding process. Although all the big buyers of tomato products – including some major retail distribution chains – do not use this type of purchasing system, the effects of it do affect the supply chain as a whole. The prices resulting from these reverse auction sales end up being presented as reference quotations, which causes serious prejudice to the industry in that such prices are totally disconnected from the reality of production and processing costs, and badly depreciate the "real value of productions" as it was stated by Professors Francesco Gangi and Eugenio D'Angelo from the University Luigi Vanvitelli in Naples. According to the ANICAV, "the industry indeed needs some regulatory intervention, and this has been requested for a long time now, in order to fight against unfair practices that lead to speculative behavior." Making the food chain “fairer”? In June 2016, a European Parliament resolution called on the Commission to submit a proposal for a Union legal framework concerning unfair trading practices (UTPs). In December 2016, the Council invited the Commission to undertake, in a timely manner, an impact assessment with a view to proposing a Union legal framework or non-legislative measures to address unfair trading practices. In a "minimum harmonization approach", the EC proposed measures that are complementary to already existing measures in Member States and the code of conduct of the SCI. The voluntary Supply Chain Initiative (SCI) is a private industry initiative that seeks to govern UTPs. The actual definition of an unfair trading practice is one of the core points under debate at the moment. 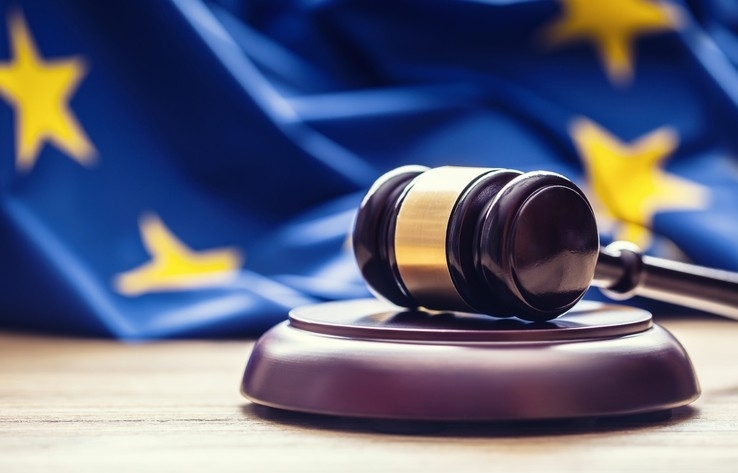 The proposed Directive was aimed at reducing the occurrence of unfair trading practices in the food supply chain by introducing a minimum common standard of protection across the EU, consisting in a short list of specific prohibited UTPs. A buyer not complying with the deadline of 30 calendar days for paying a supplier for perishable food products. A buyer canceling orders of perishable food products at such short notice that a supplier cannot reasonably be expected to find an alternative solution. A buyer unilaterally and retroactively changing the terms of the supply agreement concerning the frequency, timing or volume of the contract or delivery, the quality standards or the prices of the products. 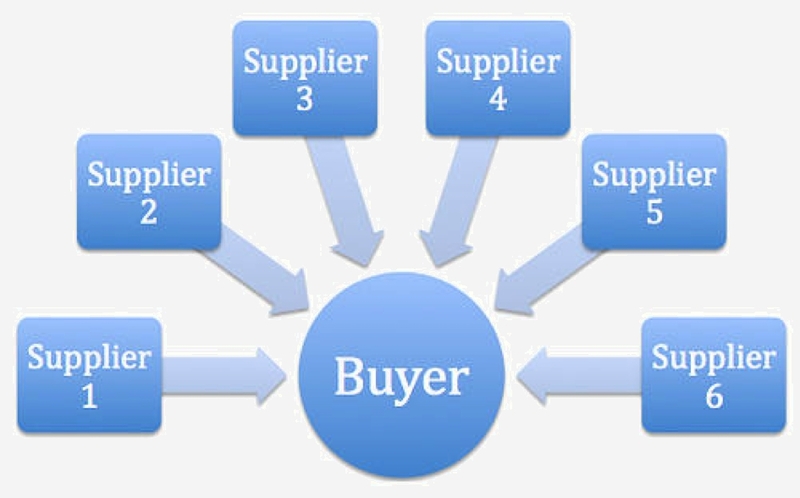 A buyer making a supplier pay for the wastage occurring on the buyer's premises and that is not caused by the negligence or fault of the supplier. A buyer returns unsold food products to a supplier. A buyer charges a supplier payment for the stocking, displaying or listing food products of the supplier. A buyer charges a supplier for the promotion of food products sold by the buyer. Similarly, the scope of this legislation has become a strategic point in the discussions. Last September, the organizations representing the food industry asked lawmakers to institute measures that would "protect" all food producers, whatever their size. A recent communication signed by the Copa-Cogeca association of European farmers, the Marques association of European brands, the European Federation of Food, Agriculture and Tourism, the Fair Trading Advice Bureau, the FoodDrinkEurope association and IFOAM EU, called for a "clear definition" of what constitutes unfair trading practices. "The essence of an unfair trading practice is the transfer, unilaterally, of excessive risk and unexpected costs on a supplier, by taking advantage of the buyer's position as market gatekeeper." The letter also contains an appeal asking for the rules against unfair trading practices to be applied to all operators of the food chain. "Unfair is unfair, regardless of the size of businesses. All actors in the food supply chain should be protected from unfair trading practices. Without this basic principle enshrined in EU law, any actor may be faced, directly or indirectly, with the effects of unfair trading practices," it concluded. The project for rules governing unfair practices, which is expected to be applicable by 2020, aims at protecting the weakest operators in the food industry, who are confronted with abusive trading conditions. The European legislator particularly wants to protect the interests of farmers and SMEs. The proposal to extend this protection to all operators of the food industry was massively rejected last September by a collective of European retail distributors (Ahold Delhaize, Auchan, Axfood, Carrefour, Colruyt, Edeka, ICA, Jeromino Martins, Kaufland, Lidl, Metro, Musgrave, Rewe and Spar), for whom "those amendments would considerably reduce the scope for practices that can benefit both parties and limit freedom of contracts. This will not benefit farmers." This collective presents the operators of the big chain retail distribution network as "the victims of a witch hunt", warning the EU against the economic consequences – for consumers, growers and SMEs – of a decision that would end up giving even more power to a number of operators who are already very powerful. The retailers claimed that they are not, in fact, the dominant players in the supply chain. Even the largest European retailers, they noted, have a market capitalization of less than one-tenth the size of large industrial food processors, who operate across the world, and enjoy 15-30% net profit margins (EBIT), compared with the EBIT of large retailers of 2-4%. Moreover, no European retailer makes up more than 2% of the global turnover of these multinationals. At the same time, according to the EC, EU farmers receive on average 21% of the share of the value of agricultural products while 28% goes to processors and as much as 51% to retailers. On Monday 1 October, however, the European Parliament’s committee on agriculture adopted its position amending the proposal for a directive on opposing unfair trading practices. On 2 October, European agriculture ministers approved measures to end UTPs, with manufacturers and farmers welcoming the result. to cover the trade of agricultural products and ancillary services, in addition to food products. Payments made later than 30 days EOM for perishable agricultural and food products, and payments made later than 60 days EOM for non-perishable products. The unilateral cancellation of an order of perishable products less than 60 days from the agreed delivery date. The refusal by the buyer to sign a written contract with the supplier. The sharing or misuse by the buyer of confidential information relating to the supply agreement. The sale to the buyer below the purchase price, except when agreed in advance. Even in this case, the buyer cannot ask the supplier to bridge the gap. The rapporteur, Paolo De Castro, who is familiar with the European agri-food sector and the processed tomato sector, now has the mandate to negotiate with the Council an agreement on the proposal for a directive on Unfair Commercial Practices (UCPs) in business-to-business relations in the food supply chain. He said: "In this battle of David versus Goliath, we are arming the weakest in the food supply chain to ensure fairness, healthier food and social rights. Small producers, workers, consumers, all of us, will soon stop suffering the consequences of unfair trade practices imposed by big players in the food supply chain." De Castro called on the Commission and Council to act so the directive could come into force "by the end of the year".